Richfeel Health and Beauty Pvt. Ltd, a brand that is synonymous with total personal care solutions from the experts has been associated with Mickey Mehta, India's leading Holistic Health Guru for over 25 years. Over the years Richfeel has brought in many firsts to India. Richfeel is the first and only Trichology chain in India. The Richfeel Trichology Centre is equipped with professional training and hands-on experience to recognize and treat most hair and scalp conditions and also access to the most up-to-date scientific information technology and state-of-art facilities. Mickey Mehta is a philosopher; life coach; who promotes the healing systems of meditation and prayer science explicitly and has been spreading the message of Holistic Health. This association aims offer holistic programmes where especially designed courses which take care from head to toe will be offered to patients. 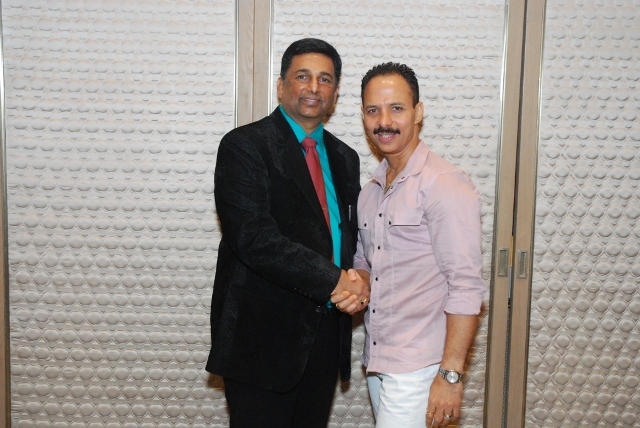 Fitness guru Mickey Mehta, opined, Richfeel’s finesse of an aesthetician to provide holistic solutions for hair, beauty and body care needs and our holistic health approach would complement each other to make the right combination, for creating a synergy between Richfeel and us to achieve great heights in health and wellness sector. This integration will offer its patrons, various cross promotional activities by the brands, various seminars and workshops for health and wellness etc. Richfeel is founded by Dr. Apoorva Shah and Dr. Sonal Shah in 1986 is a brand that is synonymous with total personal care solutions from the experts. Over the years Richfeel has brought in many firsts to India. Richfeel is the first and only Trichology chain in India- it is a concept that combines content and style that has amalgamated the scientific know-how of a medical practitioner and the finesse of an aesthetician to provide holistic solutions for hair, beauty and body care needs. With 54 clinics across India, Richfeel Trichology has become the largest trichology chain in the world. They have developed many new technologies in the field of trichology like TST+, HairDX, HTMA and Anagrow. In 2008, Richfeel jumped into the wellness arena where they opened their first spa- Richfeel- the luxury D Tox Spa in Mumbai. In 2012, Richfeel started India’s first designer hair restoration centre called Hair Forever. Today, under the brand Richfeel, Dr. Apoorva Shah and Dr. Sonal Shah have 56 personal care products to their credit. Mickey Mehta is India’s leading Holistic Health Guru for over 30 years. He is an Institution, Life Being Coach, Philosopher, Author and has many First’s to his credit in his 30 years long journey in the Wellness Industry. He has serviced high profile families, leading Bolly wood & TV artistes and Corporates with his effective Wellness Programs. Mickey Mehta is the first to start equipment free Gyms at all his centers in Mumbai and very soon throughout the country. He has revolutionized the concept of "Learn Swimming in 24 hours" for which he has a pride of place in the Limca Book of Records. He is very active on Face book and has a huge following which is growing by the day. He has also started - “Heal the World” community. This is a cause which is very close to his heart, which spreads the message of love and compassion and appeals ‘Each One to Reach One’ through this noble initiative.